LATE-BREAKING NEWS: The Roumanian Team Trophy was won by the USAMU Praslick Team, with a four-person score of 793-42X. The team is coached by Emil Praslick, and the shooters are SGT Tyrel Cooper (198-10X), SFC Lance Dement (199-12X), SPC Sherri Gallager (198-9X), and SGT Brandon Green (198-11X). John Whidden’s Southeast Rifle Club, coached by Carl Kovalchik, finished second with a 782-29X team score. Congrats to all shooters, and especially the victorious USAMU squad. Share the post "Tight Race for NRA Long-Range Championship"
If you’re a fan of hunting in scenic, far-away places, you’ll enjoy Petersen’s Hunting Adventure Television. While the plots are predictable (Gun Mag writer hunts with local outfitter), the scenery is often stunning, worthy of Nat Geo. The producers have put highlights of some of their best shows online. Click the various tabs on the right side of the video player, and you’ll find clips of Black Bear hunting in British Columbia, wild boar hunting in Texas, Ibex hunting in Spain, and a Cape Buffalo safari in Zimbabwe. Our favorite clip features a hunt for Dall Sheep in Alaska’s glacier country near the southwest border of Canada’s Yukon Territory. Legendary hunting writer Jack O’Connor hunted this area, near the headwaters of the White River. During the stalk, the hunters do some serious high-altitude trekking through spectacular mountains. This 4-minute featurette is worth watching for the photography alone. CLICK HERE to watch Alaska Dall Sheep Hunting VIDEO. Short, two- or three-minute previews of 2009 broadcasts are also offered online. Featured videos include: Rocky Mountain Elk, Carpathian Chamois (Mtn. goat), Wyoming Pronghorn, Desert Big Horn, Kalahari Kudu and Gemsbok, Spanish Red Stag, Desert Mule Deer, British Columbia Moose. 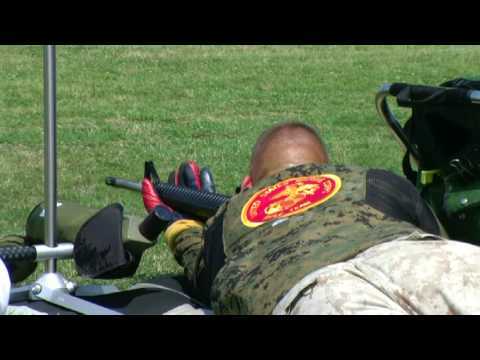 Share the post "Petersen's Hunting TV Showcases Exotic Hunting Trips"
We know many of our readers will be traveling to matches (such as the F-Class Nationals at Camp Butner) in September and early October. Or you may be planning an extended holiday combining tourism with shooting excursions. 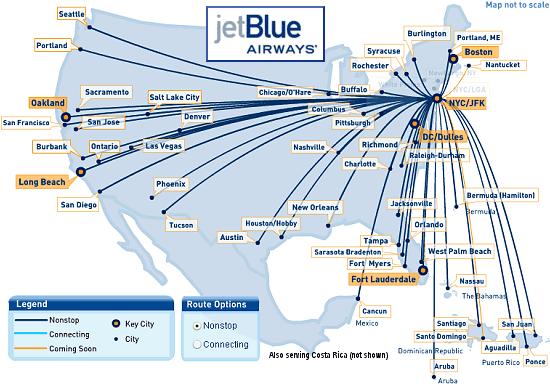 For those readers who need to travel long distances in September and October, here is a great travel deal: Jet Blue is offering unlimited air travel from Sept. 8 to Oct. 8 for $599.00. With this All-You-Can-Jet Pass, you can take any number of flights, to any destinations Jet Blue serves (including Mexico and the Caribbean), for just $599.00 (plus airport fees and int’l taxes). What’s the catch? well you have to purchase on or before August 21, 2009, and the $599.00 cost is non-refundable and non-transferable. $599.00 for a month of unlimited coach-class air travel, any available seat. On sale through Friday, August 21, 2009, or while supplies last. Travel Dates are Tuesday, September 8, 2009 through Thursday, October 8, 2009. Each flight must be booked at least 3 days prior to the flight’s scheduled departure. Call 1-800-JETBLUE (538-2583), option 4. NOTE: You do not have to be a TrueBlue member at the time of purchase, but a TrueBlue number is required to book all flights. CLICK HERE to join TrueBlue — membership is FREE. 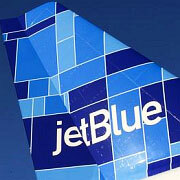 Share the post "Jet Blue Offers Unlimited Travel in Sept./Oct. for $599"